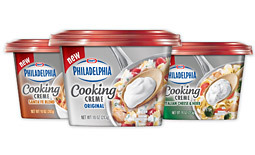 Mom: I was watching a commercial just now and saw this new Philly creme cheese cooking stuff. You add it to your meals to make them creamy and yummy. I thought of you and the kids. I thought you would like it. Me: I saw thought that too! Me: Me too! (Said with much sympathy) It's funny you should say that because I just won a House Party staring that. When I saw it, I immediately thought that The Perfectionist (my 14 year old) would LOVE it and had to sign up. I won! So now I'm having a luncheon party next week with the creme cheese. Mom: What are you going to make? Me: Ummmmmm......I don't know yet. After having this conversation, I﻿ decided I need to take a break from decorating for my party and decide what I was going to actually make to eat at our Luncheon. My idea was for each woman to bring a recipe that her family liked. Then we could all try them and if we thought our family would like that, we could take a copy of the recipe. I was hoping this would help to give us new ideas for dinner and avoid some of the dreaded "YUCK" face at table time. 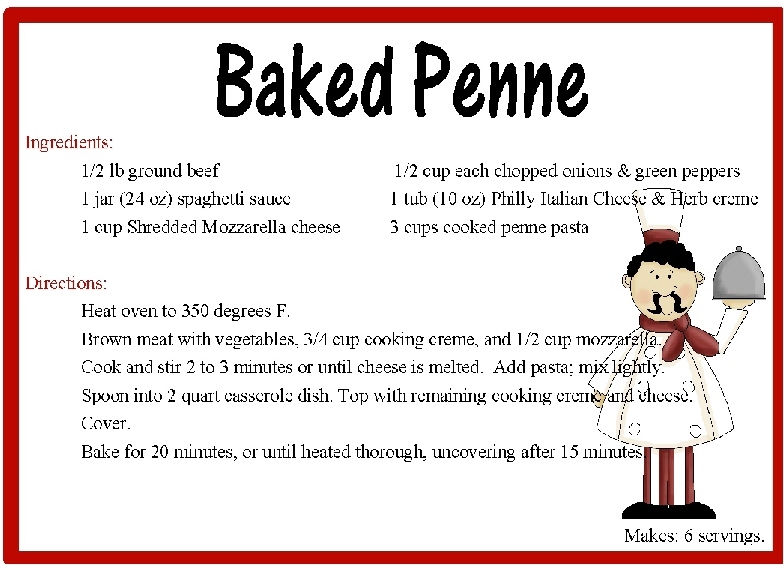 Since my party is being sponsored by Philadelphia Cooking Creme, I decided I need to make a few recipes to share with the yummy creme. These are the ones that I think I'll make. 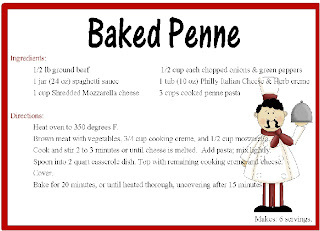 If you want to try any of these recipes, I'm sharing the 5x7 recipe cards (plus a blank as a gift) for you. 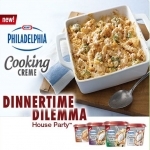 I also have 5 coupons for $1.00 off the Cooking Creme to give to you! If you want one, leave me a message (be sure to link up your email or leave it for me) and I'll hand them out. If only 5 guests want them, I'll send them all out. If more than that feel the urge to try this yummy creme, I'll randomly draw 5 winners to get them.